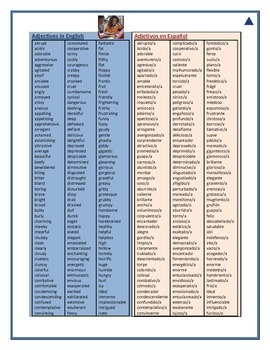 Two page(or front and back) adjectives for students to reference. 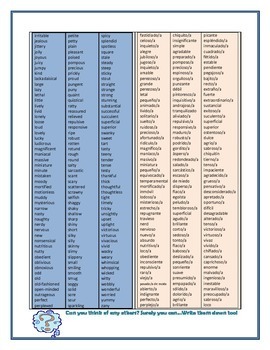 There are 3 columns of adjectives alphabetically listed in English and then 3 columns of those adjectives translated into Spanish. I have found this to be very useful for 3rd through 12th grade and especially handy for newcomers learning English.